This programme is designed to prepare children for receiving the sacraments of reconciliation and the Eucharist or to deepen their understanding of these sacraments. 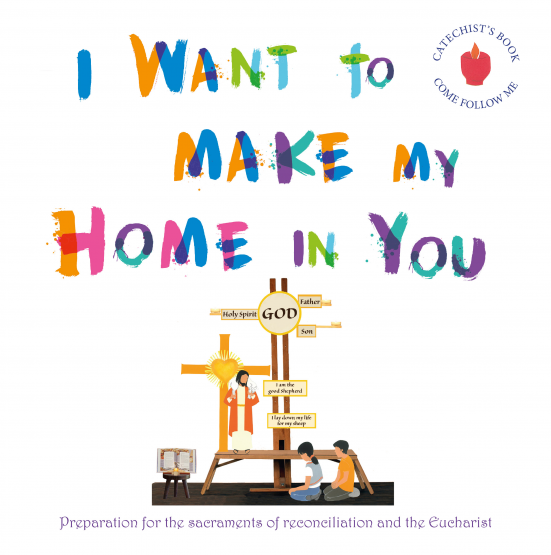 The 'I Want to Make my Home in You' programme is designed to prepare children for receiving the sacraments of reconciliation and the Eucharist or to deepen their understanding of these sacraments. This resource is the result of a long and fruitful journey accompanying children in catechesis in France. It is an updated version of a popular and effective programme, launched in 1990. This updated version contains:the text of the word of God, taken from the Jerusalem Bible, references to the Catechism of the Catholic Church (CCC) and other catechetical documents, material to help the catechist:cut out illustrations and suggested songs for the children, suggestions to help integrate the children into the parish community, and regular liturgical celebrations within the programme to ensure greater participation in the Church’s liturgy.